“Happy new year” ! to everyone. What better way to start than introducing Lenny the Lurcher. A drawing done as a Christmas present commission for the owners from a friend and drawn by myself with a feeling I knew this chap quite well although we only met once. Lenny has a wonderful temperament, loves company and his domestic comforts. The owners commented that they were overwhelmed and surprised, so a great result knowing this will give them many years of pleasure on their wall. 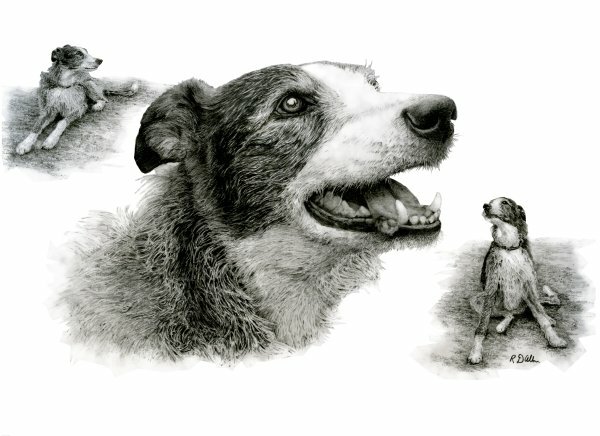 Lenny also appears on my website at www.richardalbon.co.uk under the blog and commissions pages for anyone wishing to see more. Have a great 2018.